When you meet at Stanford in 1931, work together for almost fifty years, live with, or next door to, each other almost your entire lives, your mothers were born in the same small town of Tuscola, Illinois, and you first sons are born less than a week apart, some people might call you a multitude of names (among these might be eccentric, strange, creepy, etc.). If this happens to you, and your name happens to be Ollie Johnston or Frank Thomas, they call you Legends. Another thing this pair has in common is that they both retired on this day, January 31st, in the year 1978, just the way it should have been. Though the pair seemed inseparable, they did have their own private hobbies. Like Walt Disney himself, Ollie Johnston has always been a man of the steam rails, and the trains that glide upon them. As for Frank, his place in Disney history, not only for animation, but for his contribution to the band the Firehouse Five + 2, which regularly made appearances at Disneyland. Still, their animation was their hallmark, and they pairing of Frank and Ollie were second-to-none. Scenes like Bambi and Thumper on the frozen pond, Prince John sucking his thumb and clutching his ear, or Bernard’s apprehension, in The Rescuers showcase what John Canemaker called Frank and Ollie’s exemplary skill at “sincere emotional animation.” This style is almost palpable in the Jungle Book. The Jungle Book was almost, in a way, the first true challenge of the Nine Old Men, as Walt Disney had passed away during its production and, had the feature failed, the doors to Disney Animation surely would have closed. Yet, behind the work of Ollie and Frank, who completed over fifty percent of the animation themselves, the picture was a rampant success and the future of Disney Animation became very bright indeed. Viewing the scenes between Bagheera and Baloo, follwed by Baloo and Mowgli, when his return to the Man Village in imminent, on is left with the thought that this level of emotional attachment, to and for the characters, has never been, and will never again be, seen in feature animation. So on this, their day of retirement, raise you voices and cheer for two of the finest Nine Old Men to ever place pencil to paper. Thank you Frank Thomas and Ollie Johnston! Many presidents and foreign dignitaries have visited the various Disney properties throughout the years. In fact, at the Hall of Presidents, in Walt Disney World’s Magic Kingdom, the entire presidential lineage is available for viewing a multitude of times every day. While Lincoln, in his animatronic form, may have been seen more times at Disneyland and Walt Disney World, former President Richard Nixon has been in both Disneyland and Walt Disney World for poignant moments in Disney, as well as World, History. On June 14th, 1959 then Vice-President Nixon, along with his family, dedicated the first Alweg Monorail at Disneyland. Though the first trip was a hijacking of sorts, Nixon, Walt Disney, and Nixon’s family were ferried around the .8 mile loop without any Secret Service aboard, and the scissors seemed determine not to cut through the ribbon at the opening ceremony, the future seemed bright for this attraction and Richard Nixon himself. While in office, as President, Richard Nixon came under severe fire. The now immortal words, “I am not a crook,” offered by Nixon to the nation came from a speech he gave at Walt Disney World’s Contemporary Resort on November 17th, 1973. Though this had little to do with Walt Disney World itself, it did play an important role in the history of our nation. While his politics, even in this day in age, may be questionable, President Nixon has left an indelible footprint on Disney property. It is enough to make one stop and wonder, no matter where you may be in the park, who else had tread in your very same footsteps, and what might they have to offer the world. There are many terms that Disney uses, but there are also many terms that the Disney Community uses. Over the next few installments of Dis-tionary I am going to turn the reigns over to various friends of the community, allowing them to tell you, in their own words, just what the terms they have created mean. First up, George, from Imaginerding, and their marque lingo: Geek Love. Take it away George! Disney Geek Love (dĭz'nē gēk lŭv) - The act of providing comments, feedback or general "How do ya do*" on a Disney-related blog. Usually positive in nature, Disney Geek Love is to let the author know that their work is appreciated and that they are loved in the Disney community. DGL Also allows the author to gage their work and create content that will be found interesting. It’s a Saturday morning, and your weekend seems a little less than exhilarating, so how about whipping up some of my favorite Disney recipes. They’re sure to keep you entertained, one way or the other. Of Absent Minded Professor fame, not of, well, Flubber infamy. Who hasn’t wanted a batch of this stuff while sitting in traffic, going nowhere fast, late on a Friday evening. Well, now you can whip up your own and be on your way. For those of you who are more maniacal in nature, or just can’t bear seeing another Saturday Morning Cartoon running across your television screen, I offer you the diabolical draft of the dastardly Judge Doom, the Dip. Okay, for those of us who are a little more grounded and a little less foul, this may be the recipe for us. True, we are still in the middle of winter, But spring is just around the corner and soon chilled Spring mornings will have many of us outside preparing our flower beds. So for those of you who wish you could make your garden a little more Disney, and a little less drab, see if this works a little magic in your planted patch. For more information on gardening Disney style, I recommend Secrets of Disney's Glorious Gardens, by Kevin Markey. Sorry for the delay folks, the Main Street Gazette’s computer crashed last weekend, and we still don’t have it up and running yet. So, the articles may be a little more sporadic than I'd like for the time being, but I will strive to keep the quality up to a level that you expect. It seems like the more I talk about wishes, some of them rather selfish, the more I find out about wishes. Today, I want to make any of my readers who don’t regularly read Grupmy's Hollow aware of a situation I think deserves all of the community’s attention and wish fulfillment. He has a nephew name Collin who is a very happy little boy, but who has a very serious disorder. I could go on, and probably flub a lot of what I have read, but I’d rather you read it from Ray. While this has very little to do with Walt Disney World, Disneyland, or the Disney Community as a whole, I do believe that spreading magic when and where we can is not only a requirement of the Disney Community, it is also a requirement of the human condition. So, please go and read Ray's article and, even if you are unable to help yourself, pass this along to someone you know who might. Every time I see a road sign with ears, preferably purple with some red trim, I know I have arrived. 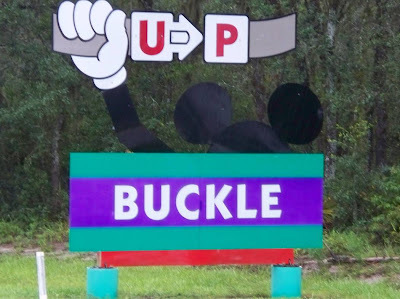 Some people say the first Interstate sign that lists Walt Disney World is the moment for them, while others contend it is the Welcome archway, and there are a few who don’t feel like they have arrived until they see Cinderella Castle across the Seven Seas Lagoon. 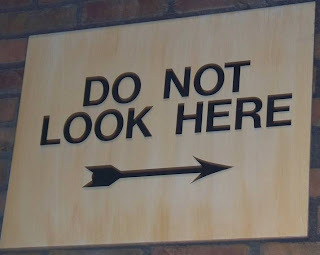 But for my part, a sign with mouse ears, some of which have arrows on one ear or the other, is the moment that swells my heart. This community is truly a wonder at times. Ray, over at Grumpy's Hollow, recently discussed books he received from the Nerdy Brothers, as well as prints that his sister-in-laws’ children received from Tim Devine. Everyone has these types of magical stories, and I just received another one. While taking about the wishes we all have the other day, I used an example of a piece of audio I had recently been scouring the internet for. As it turns out our good friend Doc, of Disney Obsession fame, or infamy, had a copy he had recorded that he was sending my way. Unfortunately, the email servers didn’t like the size of the file, and rejected the transfer. That’s when Doc stepped up to the plate and knocked on out of the park! As we speak a burned copy of the audio is on its way to my door. For those of you who share my pain of the eternal audio quests, you’ll understand just how excited I am. So, once again, thank you Doc. You rock! Satisfied that he was preparing his Psychology students for the real world, where the tedious nature of science reigned, Dean Finder trudged back to his office. An eager student squirmed his way through the crowded hallways, trying to catch up to Dean Finder. “Dean Finder, Dean Finder,” he shouted out over the bustling crowds. With a sluggish turn of his head Finder saw Billy Barty racing down the hall towards him, and he gave a deep sigh. Billy had been a thorn in his side since he had entered his classroom. His insistence that the true secret to the brain was its ability to imagine both practical and impractical ideas gnawed at Dean Finder, who knew that the untapped potential of the mind’s memory was the true riddle worthy of exploration. “Dean Finder,” Billy gasped when he reached Finder, as he tried to catch his breath. “Dean Finder, I was just reading this article by Dr. McCann, and he says that…,” Billy’s ramblings were his trademark, but Finder was in no mood to humor the young man today, and abruptly cut him short. “Billy, Dr. McCann is a quack, and his works should be taken as such,” he snapped in his typical dull pronunciation, and he continued his steady retreat to his office, leaving the boy stunned and stationary in the middle of the hall. That night a terrible storm whipped up, filled with lightning and all the other elements that fill the various tales of fright. But Finder was not concerned and, in fact, went to bed early. But, just as he was beginning to nod off into a dream, his doorbell rang. He ignored it and rolled over. The bell chimed again, and then a third time. Grumbling, he got out of bed and began to stumble towards the door, without turning on a light. As he shuffled across the floor, Finder began to build up static electricity which, as any good man of science would know, has to find a way to discharge. As he reached for the doorknob the static found its release, and created an arc of electricity, shocking the Dean. “What a spark,” he whispered, truly flabbergasted. When he opened the door, there was no one there. Logically, he had taken too long to get to the door, and the person had left. But somewhere, deep within the secret places of his mind, the spark was skipping around, causing Finder to wonder if, just perhaps, there had ever been someone there at all, or that perhaps, just perhaps, instead of driving away, they flew away. These ideas, along with many others, continued to fumble through the Dean’s brain all through the night as he slept. For the next several days he continued this process, but, not wanting to abandon his students, he sent articles along to his assistant to pass out to his class. There was never a mention of an exam, nor a date for when the students should finish reading these articles. Though these questions were raised, first by the students, then his assistant, and later the school itself, there was never a satisfactory answer, only gibberish about “marvelous new ideas.” The number of students attending class began to dwindle until, one day, only Billy showed up to class. Even Dean Finder’s assistant had stopped coming to class. Billy decided it was time to check on Dean Finder, and more importantly, find out what had ignited his new view of the mind. He had heard rumblings of strange things going on near Finder’s house, but dismissed the reports, as any parent would dismiss their child’s account of the odd occurrences at the old spooky house on the hill. But, as he approached, he began to believe there was some truth to the reports he had been hearing. There, in the field beside Dean Finder’s house, was an excitable man, dashing about a contraption that was strapped to some sort of hot air balloon, laughing all the while. This man could have been Dean Finder, if not for the beard, purple suit, and all around pleasant nature. As he drew closer towards the field, the man turned to greet him, “Hello there, Billy. It is so wonderful to see you,” spouted the purple clad man. “Dean Finder?” question Billy hesitantly. “Oh, heh ho ho, no no no no no, that name is far too plain! Please, call me the Dreamfinder,” he chuckled. “Why, I am creating and searching, using my imagination!” he said with a twinkle in his eye, a twinkle usually reserved for paintings of Santa Claus. “But Professor, I mean Dreamfinder, you said work on the imagination was garbage. You, you, you…,” Billy was at once, for the first time in his life, speechless. “Off, but wait! Dean, Dreamfinder, where are you going? What is this thing?” Billy’s uncertainty had been replaced with amazement. 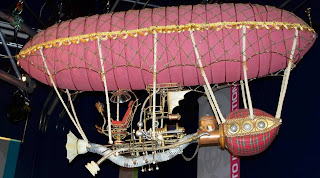 “This is my creation, a dirigible if you will. I call it the Dream Vehicle, and this back here,” he said motioning to the large bulging sack connected to the rear, “is the Idea Bag. It is amazing what you can create with discarded ideas, innovative concepts, and a little digging.” To be honest, Billy thought the ‘Dream Vehicle’ looked more like a collection from the dumpster. He was sure there were pieces of a phonograph, portholes from some sailing vessel, old netting, a propeller, some oars, and a pressure cooker, and all of it seemed to be continually changing colors. “Nowhere, everywhere, on a flight of fancy. I am going to search for anything that sparks the imagination and collect those ideas in the Idea Bag,” and with that he began humming a little tune to himself, slowly rising up into the air until he was a speck, and then gone. Billy stood in the space that the Dream Vehicle had been occupying only minutes before, unable to move. Slowly, a smile filled with child-like wonder crept across his face, and he began to walk home, always looking to the sky and the stars beyond. The Main Street Gazette’s good friend, Eric Hoffman, has done it again! This time, he has updated the background with a real old-fashion tablecloth. Now you can truly sit down, sip on a cup of coffee or tea, and read the paper. Although I wouldn't recommend trying to set your cup down on this tablecloth! Fowl have a longstanding history with the Disney Company. One famously feathered friend even makes the cut for the Fab 5. But, of all the brethren of the beak, only one species tops the pecking order, the wise old owl. There have been stuffy teachers and know-it-alls, like Professor Owl from Adventures and Music and Owl from The Many Adventures of Winnie-the-Pooh respectively. We have also had our protectors in Big Mama, from Fox in the Hound, and Friend Owl, in Bambi. There are other owls in the Disney birdhouse, though the distant cousin of these stars, the accordion owl from Alice in Wonderland, is rarely invited to family reunions. Inside today’s parks, owls are still present. 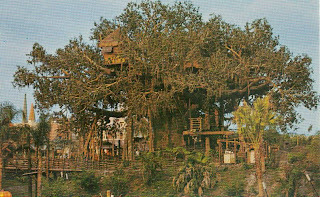 From the true life variety, available for viewing inside of Disney’s Animal Kingdom, to Owl, of Winnie-the-Pooh fame, who has set up his nest in the Magic Kingdom. In fact, Owl has the distinction of possessing the deed to the land The Many Adventures of Winnie the Pooh. The deed was bestowed upon him by the previous resident, Mr. Toad, with photographic evidence of the event hanging upon the wall in Owl’s house. But there is one owl from the park, whose roots go back decades, which has not been seen, or heard from, in years. Hoot Gibson, named after a silent film cowboy from the 1920s, was to have taken guests on a tour of the West on the permanently shelved attraction, the Western River Expedition (WRE). The Western River Expedition, part of what would have been called Thunder Mesa, in Frontierland, would have showcased rowdy cowboys, bandits, Native American rain dances, and even singing cacti. If this concept sounds vaguely like Pirates of the Caribbean, it should, as both were the brain children of Marc Davis, who set out to one up himself with the creation of Thunder Mesa. Yet, of all the designs for the project, only one ever saw the light of day, the tour guide of the West, Hoot Gibson. When the Walt Disney Story attraction opened on Main Street U.S.A. in 1973, Hoot was there. He gave audiences who ventured through the post show a glimpse behind the scenes, a glimpse into the future, and a glimpse into his heritage by proclaiming, “My grandpa, for example, had one of the lead roles in Bambi.” Near the end of his dialogue he told guests to come back and visit him at the Western River Expedition, an expedition that never got underway. Hoot continued to proclaim the future of the western frontier until 1981, when the exhibit was covered over to make way for a preview of another coming attraction, EPCOT Center. Hoot, along with the rest of Thunder Mesa, would have been a hoot. But though the feathered friends lost one of their own, I can’t imagine that we are too many years away from seeing another astute owl take wing. 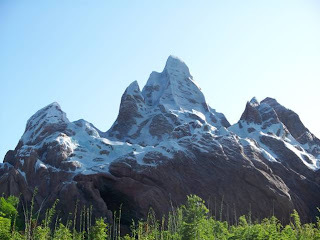 For more information on Thunder Mesa, and the Western River Expedition, check out The Disney Mountains, by Jason Surrell, and Widen Your World. We all have wishes. Dreams that we hold in our heart, heave towards the first star, and believe that they will come true. Some wishes are practical, wishing for a better job, some our romantic, wishing that your one true love will say yes when you propose, and some can only be classified as magical. These, more often than not, are Disney wishes, grand dreams, filled with exciting adventures, which are generally improbable. Wishes for a trip to Walt Disney World, to stay in the Cinderella Suite, to fly to Neverland, to see the future, to be a movie star, all of these fall under the guise of Disney Magic. 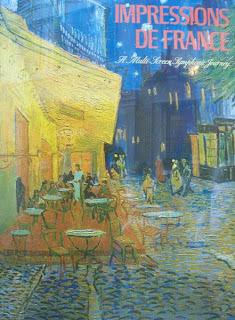 Since magical is defined as created by, or as if by, magic we are given a wide brush with which to paint these wishes. However, some of these wishes are created with the finest one-hair brushes. Wishes of this caliber are left to folks like you and me, the Disney geeks, experts, nerds, and gurus. They include yearnings like a piece of audio, a rare book, the search for a single rarely seen character, or a long lost cartoon or movie. Undoubtedly, we each have a list complied full of such rarities. And, like all wishes, once a wish comes true, we are shocked and excited. But then, just like that, we find a new wish on our list to dream about. I know that I, myself, searched for months for a single copy of Horizons’ full audio, wishing on many a star, and I almost passed out when I finally found it. Yet, today, as much as I loved finding that one piece of music, the one piece I wanted so very badly, I now wish I could find the entire soundtrack, with narration, for Impressions de France. So, tonight, I want each of you to find one those dreams shining down in the depths that is you. If you haven’t examined it in a while, you may have to dust it off a little before it shines. Then, hold it close to your heart, find the first star that catches your eye, and fling your wish straight at your star. Who knows what magic you may find! Clearly, as the Beyond Today segment continues, we are fast approaching Horizons. For this article I not only wanted to show the technologies that were created, and the story designed, that made this attraction possible, but I also want to really focus on the human element. For this, I need your help. We all have our stories about this ‘Heart of Epcot’ attraction, and I would like to share your story, if you’ll allow me, with the rest of the readers. If you have a story you would like to share, by all means, please email it to me. This article is still a few weeks away, so you have time to gather your thoughts, but please don’t think your story isn’t intriguing enough, because it is. I am interested to see just how, and in what way, Horizons has touched each of you, and I am sure there are others who are just as interested. So, turning the tables a bit, I can’t wait to see what you all have in store for me! During this time of political unrest, with candidates jostling for position, and flipping their stance on issues, wouldn’t it be nice to have a candidate who is truly hungry? A candidate who isn’t afraid of their softer side? A candidate who really thinks? A candidate who readily admits he’s stuffed with fluff? Well my friends, then look no further, I give you Winnie-the-Pooh for President! This would not be his first battle for the White House. This resident of the Hundred Acre Woods (by way of Anaheim which makes him an eligible candidate), who loves kissing babies I might add, has run several times before. Pooh first ran for president as part of On Stage U.S.A. in 1968. Again he ran in 1972, complete with Winnie the Pooh for President Day(s) at Disneyland during October. In 1976 Pooh even had a running mate, Eeyore, whose ingenuity and calm nature would have been a fine addition. 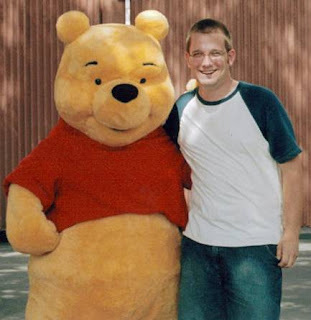 Sadly, Pooh’s runs always came up short, due mostly to the smear campaigns claiming he was addicted to Hunny. With rival publications jumping on candidates’ band wagons with their editorial endorsements, the Main Street Gazette has chosen its candidate. Winnie-the-Pooh is our man, or bear, in 2008! Disneyland’s Tomorrowland was just the beginning for George McGinnis. When the East Coast called, he answered, giving us attractions that are, even today, considered unique experiences and second to none. New technologies were implemented, familiar attractions were revitalized, and new boundaries were breached. After work had been completed on the EPCOT Film, George McGinnis found his plate very full with the Walt Disney World Project beginning to take shape. Three projects stand out among the rest, the WEDway Peoplemover, 20,000 Leagues Under the Sea, and, an attraction created for both coasts simultaneously, Space Mountain. At Walt Disney’s prompting, George McGinnis designed a model of the WEDway that could be used in the city of EPCOT. Unfortunately, the city would never be built as Walt had envisioned, but the dream of the PeopleMover lived on. Disneyland’s PeopleMover, with its rubber wheels, was able to make grade changes. That is, it could climb small hills and descend from them as well. The linear induction motor, used in Walt Disney World’s WEDway PeopleMover, had no such luxury. Though it was a marvel of engineering, the track was required to maintain the same grade throughout the entirety of the attraction, due to the close gap that had to be preserved. Yet, when the dust had settled from both Disneyland’s and the Magic Kingdom’s revamping of Tomorrowland, only one PeopleMover, under the guise of the Tomorrowland Transit Authority, remained. Along with the development of the PeopleMovers George McGinnis also worked on the design of the Magic Kingdom’s 20,000 Leagues Under the Seas. Though the attraction would again be similar to its California counterpart, the design of the submarines used could not have been more different. Taking inspiration from the film starring Kirk Douglas and James Mason, George McGinnis crafted the designs of what the subs should look like and sent them on to Bob Gurr in Tampa, Florida, where the subs were being constructed. Skipping ahead a few years, for the moment, another marquee attraction became the focus of McGinnis’ work, Space Mountain. Alongside legends like Marty Sklar, John Hench, Claude Coats, and Bill Watkins, George McGinnis became part of a team that dusted off the plans for a darkened space roller coaster, original planned for Disneyland in the 1960s, and gave the project a new star to follow in Florida. George McGinnis, the project’s concept designer, worked on the pre, and post shows, as well as other effects, such as the strobe tunnel. Bill Watkins, who had worked on the track design for the Magic Kingdom, and George McGinnis were given the keys to Disneyland’s Space Mountain. McGinnis’ designs caused headaches for the actually engineers who had to implement his designs. These designs included a few effects that did not see the light of day, or rather the darkness of space, until the refurbishment of Disneyland’s Space Mountain in 2005. During the refurbishment McGinnis’ rotating tunnel finally got spinning, creating the effect that guests, and their vehicles, were actually turning over. Additionally, during the 2005 refurbishment, the ride vehicles were also redesigned, George McGinnis was again at the helm of these design changes. If the Disney Mountains are the Legends of attractions, then assisting in the creation of both Space Mountains surely warrants one man the status of Legend. To work on Space Mountain George had had to move from Engineering to Show Design. But, his days of designing transportation were not yet over. Next time, with one foot in the past and one foot in the future, much like most of McGinnis’ designs, we’ll take a look at all the ways George McGinnis moved people. Until then, for those of us endeavoring for Disney to acknowledge George McGinnis as a Legend, let me share this little fact with you. Lillian and Edna Disney, Walt and Roy’s wives, respectfully, were not inducted as Disney Legends until 2003. 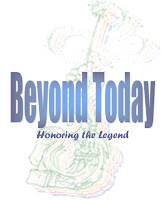 My original plan called for the Beyond Today articles to have a bibliography at the end of the series. However, after much demand, I have decided to update this bibliography with each installment. I will include a link to the updated bibliography with each new article. Happy reading and researching! Carly, a.k.a. that Disney girl, is getting married in a little less than a year. On top of that, her wedding will be held in Walt Disney World. For those of you who love watching those various wedding programs on the Style Network and We (I only know of these because my wife subjected me to them for the past year and a half), or Samantha Brown’s Travel Channel Disney exposes, may I offer to you a blog with smattering of both, the $20,000 (Disney) Wedding. It is definitely worth a look, even if you only wish her congratulations! It’s a Friday night, let’s hope you haven’t spent too much time playing the Around the World game in Epcot before stumbling over to Studio 1 at Disney's Hollywood Studios. 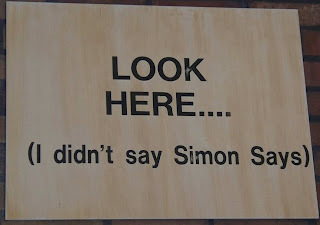 If that’s the case, you may just find yourself staring up here for a while, very confused, more than a little annoyed, and wondering when it will be your turn to win Simon Says. A true explorer and legend, living true life adventures, what more could you really ask for out of any life. Imagine, if you will, that you are walking down a path in your local park (the parks with playgrounds and bike trails, not the parks with roller coaster mountains and Segways). 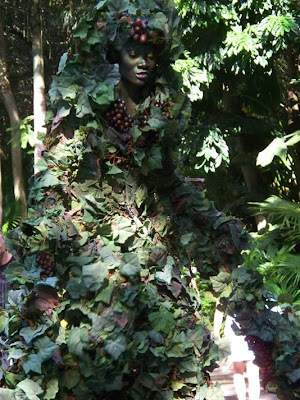 As you are walking down this trail, probably trying to exercise a bit to keep yourself in good health, or preparing for your next grueling gauntlet of Walt Disney World walking, when suddenly a tree you have just passed comes to life and begins stalking behind you. I dare say you would need medical attention, at the very least you would need a new change of clothes. Well, with all things possible in the World of magic, you can in fact be walking down a tree lined path and abruptly find yourself being tailed by an ardent arbor. Her name is DiVine, and she has put her roots down in Animal Kingdom. When I spotted this beauty back in October, she was making her way along the trail between Harambe and Anandapur. She had been wrapped around, like any good vine, a tall tree, and passerbys had paid her no real attention. That is until a teenage boy started screaming like a little girl when she began to unwind and move out onto the trail. She moved gracefully, carefully minding the guests that surrounded her as she made her pilgrimage to another resting spot. I’d like to think of this as a metaphor in reverse for Animal Kingdom’s message of conservation. Rather than us being mindful of our environment, here was our environment protecting us from the damage her vines could have caused us. I am not a fan of Fantasyland 2.0, I mean the current version of Tomorrowland. Some people go as far as to use the words hate and despise, but I’m not willing to head down that route just yet. The main argument against the current state of the future is that there are too many Disney, or Disney/Pixar, film characters infesting the land. Taking a look at Tomorrowland’s attractions give you an idea of just what percentage of the land has characters in it. Just based on number of attractions alone, not to mention the time spent in those attractions, and their queues, you have a character rate of 37.5 percent. Disney/Pixar characters hold a whopping quarter of Tomorrowland alone. The arguments have been made that Fantasyland is, and has always been, the home to characters and their stories. Not to mention, the question has been raised of what these three attractions (Monsters, Inc., Stitch, and Buzz Lightyear) have in common with the future. To further understand the dispute, let us examine these questions further. What, exactly, do a toy, monsters, and a furry alien have to do with the future? Okay, well, the furry blue alien gets a pass on this point. Clearly life in space, our lives as well as extraterrestrial life, has always been a tale of the future. The main anxiety with Stitch is that he is a Disney film character inside of Tomorrowland, which we will discuss a little later. The other concern Stitch raises, which is of no concern here, is that there are people who believe the original incarnation of this attraction, Alien Encounter, was a far better story. This is a debate best saved for another day. Buzz Lightyear and his Space Ranger Corp., however, do pose a threat to the status quo of Tomorrowland. No matter how you dress it up, all of the characters portrayed here are toys. Plastic action figures have been around longer than I have; there is no news from the future here. The saving grace this attraction has is that you are hurtling through space into battle against Zurg with lasers. Space travel, and lasers, are other hopes, or fears depending on your view, for the future. While not as strong of a tie to the future as a furry blue alien, space travel does have more of a stake in Tomorrowland than say a ride examine the pleasures of jetting off to exotic locales in a jumbo jet. Monsters, Inc., and their Laugh Floor, seems totally out of place in Tomorrowland. Aside for the fact that the Monsters (and Imagineers) are showing off their new technology, there is not one thing to persuade me to believe this attraction belongs in Tomorrowland. Characters are not the future, putting aside Nemo and his friends and Simba and his friends, who have taken up residence in Future World at Epcot. But taking a step back, and peering deep at just the Magic Kingdom, the home for characters and their beloved stories has always been Fantasyland. From Dumbo to Peter Pan, Snow White to Mickey Mouse, and even a Pooh or two, no character has ever been discouraged to tell their tale here. So why then did Stitch, Buzz, and Mike and Sully choose to disregard this time honored tradition and pull a fast one to the future? 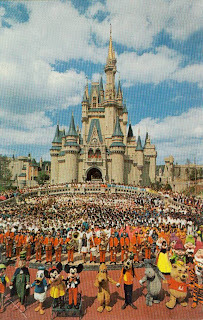 Well, perhaps it is because they felt more at home among the stars and speedways, or perhaps they thought Fantasyland was a little overcrowded and they wanted room to spread out, or perhaps, and this appears to be the most likely, is was that this time honored tradition had not been so time honored before. That’s right, the tradition of characters staying put in Fantasyland had been broken before, on one occasion with true success. Excluding Mickey’s Toontown Fair for obvious reasons, characters have secretly been out and about in other lands for years. In Adventureland, The Magic Carpets of Aladdin, have been circling the bazaar since 2001. Though this sly move by the street rat is actually predated by both Stitch and Buzz Lightyear’s moves, it is not discussed with as near the amount of venom as the attractions of Tomorrowland are. But the first, and most successful, character to jump from Fantasyland was Br’er Rabbit and his felonious associates. When the critters of Splash Mountain popped up in Frontierland in 1992 it was not to boos, hisses, and calls to ‘go home,’ no, it was to thunderous applause, screams of joy, and enough laughin’ to fill up the Laughin’ Place. To this day one of the most frequented attractions is Splash Mountain. Whether that has to do with the fact that it is a Disney Mountain, a flume ride, a thrill ride, or a tremendous example of Imagineering storytelling is beside the point here. 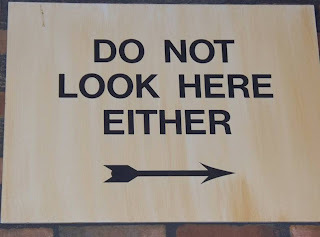 This is a much beloved attraction, and no one goes around complaining that it does not belong in Frontierland because of the characters involved. So we are clear, I would, and did, visit a Tomorrowland with The Timekeeper, Alien Encounter, and Dreamflight a hundred times before I stepped foot in the current embodiment of Tomorrowland. I would even stake out a spot in line to see Mr. Johnson and his spaceflight again, before I would say I thoroughly enjoy Monsters, Inc. Laugh Floor. 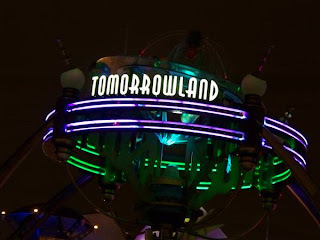 Just so we’re clear, I do not love what the characters on Tomorrowland’s main thoroughfare have done to my dreams of the future. But, there is no reason that the characters should not be allowed to stay. They are family friendly, and child recognizable, and the Magic Kingdom was never created to cater to adults, not even those who spent their lives growing up in the parks. The characters, and their stories, can all make claims to embodying a piece of the future, even if it is a stretch for some of them. And, the characters themselves, clearly have a right to be there, and should never be relegated to Fantasyland, just because the majority of characters have always heralded Fantasyland as home. To those of you, like me, who wish for a better tomorrow, or Tomorrowland, as the case may be, just wait. Remember all those families that were extremely displeased with the sheer terror Alien Encounter caused their children? Walt Disney World listened, and soon enough there was a change in Tomorrowland. And, if that idea isn’t enough for you, just remember Walt Disney. How many times has he been quoted on Disneyland as a piece of clay, or how the parks will never be finished because they will always be changing? These words, instilled in those who build the dreams, have become their mantra. Which means, sooner or later, Tomorrowland will go through another renaissance. And I cannot wait to see what that future has in store for us. Today a brand new theme park opened in Walt Disney World, yesterday we lost on old friend. 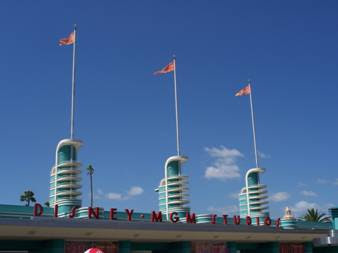 That’s right, today is the day that Disney-MGM Studios ceases to exist, and we all begin to discover Disney’s Hollywood Studios. I imagine that Hollywood Studios’ first days will be very reminiscent of MGM Studios’ last days. Yet, only time itself will show us the true difference between these two. Disney-MGM Studios has laid out an impressive foundation, much like EPCOT Center did for Epcot, let us see now what the future holds the new Hollywood Studios. In looking ahead to the future, and I do believe it will be a bright future indeed, I feel it only proper to take a quick look back at one of my favorite photographs of Disney-MGM Studios, the regal front gates. Here’s to you Disney’s Hollywood Studios: May you carry on the tradition of high standards set forth by your ancestor, and find your own way to glitz, glitter, sparkle, and shine on down the road! Alright, we are going to sidetrack a little today, and make this article a little more personal and a little less Disney. Growing up in Central Florida meant that you had one team to cheer for, which usually left you pretty dismayed, the Tampa Bay Buccaneers. Today they again begin their assault on the NFL playoffs. So that this all makes sense to those of you who haven’t followed the Bucs for your entire lives, let me briefly explain what this has to do with Walt Disney World. The Buccaneers have for the past six seasons held Training Camp at Disney’s Wide World of Sports Complex. They are also the closest team to Orlando. That doesn’t mean that Orlando’s team is Tampa’s team, after all Miami had the Dolphins in Florida long before Tampa, and there is that other team from Florida (Jacksonville Jaguars) that is also in the playoffs this season. But since the Bucs do train in Orlando, I like to think that Orlando is the Buccaneers’ second home. So, whether you grew up with the creamsicle Bucs that couldn't find a winning season with a map, have loved the pewter Bucs who won a Super Bowl, or have never given them a second thought, I ask that today you throw some support their way as they take on the New York Giants in their quest for football’s most illustrious game, the Super Bowl. After all, how many teams do you know that have taken the time to theme their stadium to their team? There is only one that I know of, and that is the Buccaneers, with their own pirate ship inside of the stadium. There is one thing I have always tried to be on the Main Street Gazette, and that is factual. Yes, I have given my opinion on various topics almost every day, and yes, I have tried to jazz up the details of the various lands and attraction for children in the Paths to Adventure and Young Adventurers segments, but I have never altered any facts. Well, starting today, that all changes. Well, the answer was clear, develop stories that already exist in a basic form in the parks. No, I am not going to retell the story of an attraction like the Young Adventurers (don’t worry this segment isn’t going anywhere either), and I am not going to talk about characters we already know, like Jack Sparrow, Buzz Lightyear, Peter Pan, Indiana Jones, or Nemo, but what about the stories we don’t know? Like how did Jose end up in the Enchanted Tiki Room, why is that one pirate obsessed with hats, who is the party from Saturn coming to meet Tom Morrow and why, what was the Dreamfinder’s job before he was the Dreamfinder, how do you get a job as a Muppet Soldier, and why did Warden Wilson Matua decide to protect the animals of Harambe? These are all questions without answers, some of which children are bound to ask their parents. 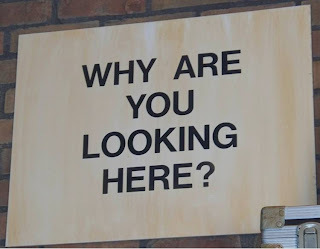 Why shouldn’t there be answers for them to find, especially if they have to, horror upon horrors, read to find the answers (there’s that literacy thing again, once a teacher, always a teacher, I suppose). You can call these stories dramatizations, fan fiction, or down right tawdry rubbish, but I hope you enjoy these stories as the characters find me and tell them to me. Better yet, I hope your children, and the child inside you, enjoy them even more. So, with all that behind us, I present to you the first installment of Once… As always, comments, questions, concerns, any response at all is welcomed! If there was a difference between the water and the air above it, it was that the water was probably cooler. The hot air was thick and slow, filled with enough moisture that you could almost jump into the air and swim through it. Then again, the river was full of leeches, lots and lots of leeches. Oh, and of course, the crocodiles. As these sluggish thoughts about a sluggish day wandered through the mind of Al, he and his ship slowly crawled up to the docks. The canopy of the Fateless Fiona hung limp, much like her skipper and his gawky frame, as there wasn’t so much as a breeze to flap the tattered cover. 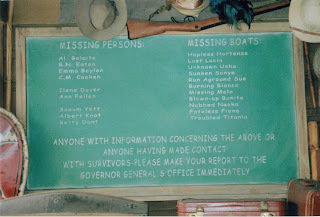 Al surveyed his new “crew” as the riverboat came to a halt and thudded against the dock. There were five in all, a mother, father, and their daughter, and a teenage couple who cared less about seeing the scenery and more about staring at each other. None of the new passengers looked like they had ever spent a day on the river, you could tell that much just by how they were dressed: jeans, tee shirts, sundresses, all of it was totally inappropriate to be cruising through the jungle. With a heavy sigh, and a stale smile plastered across his face, Al latched the boat to the dock and began assisting the passengers aboard. The family decided on seats close to the front, while the preoccupied teens sat at the very back. Al brought in the rope, and started the motor, as they slowly limped away from the dock. He turned back, gave the dock a cheerless glance, and waved at it, with the kind of help he had available on this trip, if there was any trouble, he wondered if he would ever see it again. “Ann, Ann Fellen,” she said as she straightened up her back proudly. Ann beamed and return to her parents, squeezing between them to find a spot where she could reach out and dip her hands in the water. “HO, ho,” came the animated response from Ann’s father as she withdrew her hand from the water. He was a heavy man with a deep brow that made him appear as if he were continually frowning; either that or he was continually frowning. Ann’s mother, who now held her daughter as close as possible, and as far from the water as she could, was a slender woman who was so pale it was as if she had never stepped outside a day in her life. B.N. Eaton and Emma Boylen had clearly only brought their daughter on such an outing after her pleading and begging had become too much to bear. Almost as soon as they rounded the first bend in the river, the fat dark clouds that had been hanging in the sky all day opened up and let loose a downpour. The passengers, who had been scattered around the deck, all scurried their way to the very center of the deck. “Oh, not until later on. After all, it only rains here 365 days a year,” Al stated matter-of-factly, leaving B.N., and the rest of the travelers, puzzled. “Does this mean I’m the skipper now?” Ann inquired. Days went by, and the rains continued to fall. Sometimes they were so heavy that they blotted out every glimpse of light and the guests couldn’t tell if it was day or night. Ann continued to see this as a wonderful experience, sticking her tongue out to catch the fat drops of summer rain, pooling water in her cupped hands to throw at her parents or Al, and, once, she even tried to fill a bucket with water so that she could wash her doll, Ilene. Unfortunately, the bucket became too heavy for her to hold and it fell into the river, flowing rapidly behind the boat, before sinking to the bottom of the river. This practice went on for weeks until, suddenly, they cruised out of the rain late one morning. Looking back, they could all see the wall of rain behind them, yet, in front of them, everything gave the appearance of a lush and dry jungle. So shocked were the Fiona’s occupants that they all ran to the boat’s railing and looked straight up, as if surely the rains would begin falling again any second. But, just as quickly as the rains had started falling, they were gone, along with the cool weather they had brought with them. Thus began a new tradition, one where all of the passengers, excluding Ann, lay around exhausted and extremely bored. “Quick my darling, come and see,” shouted Albert. Slowly, like the sloths that usually moved along in the trees above the river, the adults made their way towards Al and Ann. “What are we looking at, that puny little waterfall we are about to pass behind?” blustered R.N. “Ah, isn’t that the waterfall that was named after that famous explorer?” questioned R.N. “That’s the one, named after Dr. Albert Falls. An’ with these rains we were having, they have caused the falls to run at a hundred and fifty percent of normal giving us a very special view,” Al said in earnest awe. “What, what view is so special?” whined Betty, as she nudged Albert, who covered her head with the paper he had just been reading without a second thought. Betty and Albert looked blankly at one another, and then looked blankly over at B.N. and Emma, who had just finished looking at each other blankly. Ann, meanwhile, beamed and scrunched up her eyes so she could squint better to take in the full beauty of the backside of water. On the other side of the falls the Fiona happened upon a herd of elephants bathing in the flooded river. Aside from a few giant butterflies, this was the first time any of the passengers had seen any wildlife during the entire trip. The wonder that had filled Ann and Al at Schweitzer Falls now filled everyone aboard. “Are they… naked?” Ann whispered with a hiss at Al. “Ha! No Ann, don’t worry. 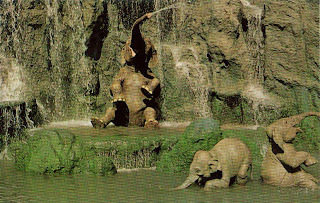 See, look, they are all wearin’ their trunks,” Al responded as he pointed towards a rather elated elephant who seemed to be spraying himself and his fellow elephants with water from his trunk. Suddenly a big elephant took notice of the boat, and her occupants, and began taking aim at them. Water splashed along the side of the boat, causing her to shudder and jerk back and forth. The elephant filled his trunk a second time and continued to squirt water at the Fiona, which repeated the rocking and went further off course. With a third spray the elephant was able to drive the boat out of the river, over a small cluster of jagged rocks, and onto the shore. With the boat no longer moving, the elephant lost interest and moved out of the other side of the river and back into the jungle, along with the rest of his herd. “Yes, we’re quite well over here,” B.N. answered as he picked up Ann and Emma clutched his arm. “Why, just think of it as a mineral mud bath, my darling,” was the trembling response from Albert. “I am sure it is filled with all sorts of nourishing vitamins and minerals, right Al?” he said with a quiver in his voice as he turned to Al. “Oh, yeah, the animal dung that makes up these river banks is full of all sorts of hearty minerals. How do you think these plants get to be so big?” Came the absent reply from Al, as he climbed up the embankment to survey the river and jungle, ignoring Betty’s wild screams that followed. “Do you think we can get the boat back in the river?” R.N. asked, still huddled with his family, and also ignoring Betty’s antics. “Nope. She’s takin’ on too much water to do us much good now. But don’t worry another ship will be along shortly,” Al stated with some certainty, as he climbed down and rejoined the group. “How can you be so sure of that?” wondered Albert. Deep within Asia’s district on Anandapur a Forbidden Mountain is calling. Bracing for the extreme cold Everest, you travel to Serka Zong, following the strange stories of the creature there that protects the mountain, the Yeti. After gathering supplies and booking passage, you make your way through the museum that displays stories and evidence of the Yeti’s existence. After hearing the whistle of your tea train, you make your way towards the platform, where you board the old steam engine. Climbing through bamboo forests and the fortress at the foot of Everest, you see a variety of Yeti tokens that give you an idea of just how much he means to this mountain. As you continue along your trek, you round a corner to find the tracks have been bent backwards. Behind you, the unseen Yeti roars, the train seems to shudder, and you begin to slide backwards down the icy tracks. As you dash backwards through the dark mountain and its treacherous ice caves, the Yeti continues to roar. Finally your train’s brakes catch and you slow to a stop just in time to see the shadow of the Yeti as he tears more tracks from their position. Your train begins to move again with a lurch, bringing you closer and closer to a face to face encounter with the Yeti. Will you scream as you race off of the mountain, or have the icy conditions made you brave enough to stand your ground? Today was a Snow Day here for us in Western North Carolina, and tomorrow is looking like at least a delay. That’s the joy of working in preschool, you still get the occasional Snow Day and you do not have to do anything that qualifies as work (homework, book work, real work). This one felt kind of like a late Christmas present, as it would have been our first day back to school since the holidays. There were neighborhood children sledding down the hill outside our house, snow angels were made, and shoddy attempts at snowmen were made (there was not enough snow to make anything higher that a couple of inches). One snowman, or should I say snowmouse, actually had ears. But, like the elusive Yeti, the mouse was gone before any photographic evidence could be taken. (I ask you, is it right to let a pre-teen boy bully a grown adult by knocking his snowmouse down while on his sled?!?!). All day long, especially while building my soon to be dismantled snowmouse, I continually found myself singing Hap-Hap-Happy Snowman. For those of you who aren’t familiar with this ditty, it was written by Tom Adair and the wife of Disney Legend George Bruns, Jeanne Gayle. It was from the Mickey Mouse Club’s The New Adventures of Spin and Marty, which aired during the Mickey Mouse Club’s third season. 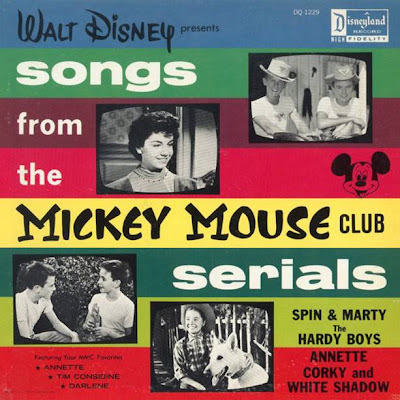 Along with other fine melodies from the Mickey Mouse Club, the Hap-Hap-Happy Snowman can currently be found on iTunes on the album: Walt Disney Presents Songs from the Mickey Mouse Club Serials. As well, YouTube has a copy of the segment where Annette Funicello and gang first premiered the song. If this song doesn’t keep you smiling through the cold days ahead this winter, I don’t know what will. Perhaps your snowmice will thrive better than my own. My dad went down to Florida between Christmas and New Years’ to visit his younger sister. During this trip they went through their sister’s and mother’s belongings. They wanted to organize and label all of the family history so that when my cousin Alexandra and/or I (we have other cousins, but they thought we were most likely to be the ones interested in the heritage of our family) go through all of the same material years from now, we’ll know what we are looking at. This story seems interesting enough on its own, especially if you know me or my family, but doesn’t really serve much of a purpose here. Save that my aunt and dad found a couple of pieces of Walt Disney memorabilia that they sent along to me, and that is how I came to be in possession of these. 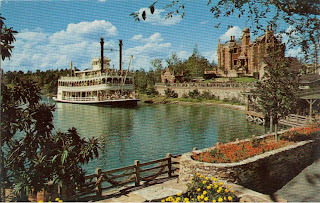 All of these postcards are part of the set of postcards that were available on the opening day of the Magic Kingdom and Walt Disney World. To be honest, the printings these postcards come from were available for a couple of years from opening day and through 1973 to 1976, and I don’t know exactly when my grandmother purchased the postcards, but they are still from the same set available on opening day. Many of these same images were used in later printings as well, but the back of the postcards were different, and they had different codes to identify them. 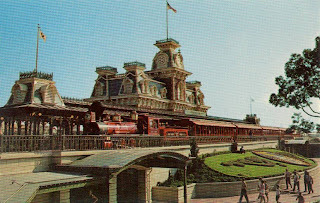 I could give you a lot more history on the postcards of Walt Disney World, and try to elaborate on just how to identify them, but there is already a fabulous resource out there for Walt Disney World postcards. So, rather than allowing you to get muddled down with my incomprehensible explanation go ahead and visit Walt Disney World: A History in Postcards. This site is full of postcard images, codes for verifying the time period the postcards were available, and great stories and long forgotten details. Oh, the Gazette Club 33 isn’t decorated yet (don’t worry George, as soon as I get the room settled and decorated, I’ll post some photographs), but you can be sure that these are going to be framed together and end up in a prominent space on the wall!